Hi Rebecca! I must admit that being a blister sufferer, I had scoured the internet looking for information to no avail. 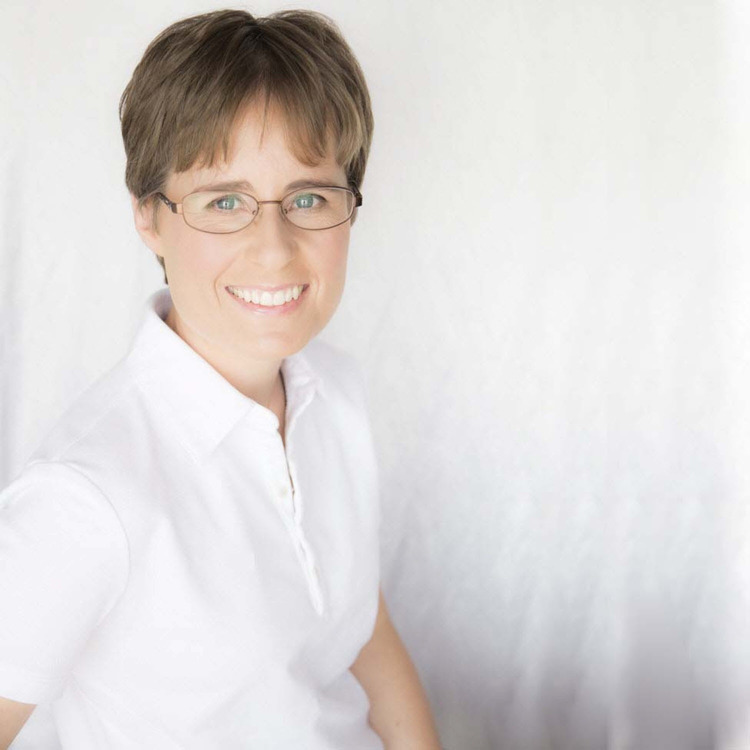 When I came upon your book and website, I said to myself FINALLY!! Why do you think it has taken so long for something so important to be written about in a comprehensive way? I’m at a loss to explain it, Doug. I’m as surprised as you. Especially considering blisters are such a common injury in sport and everyday life. But it’s been a pleasure to plug that gap. Thank you for your kind words – it’s very rewarding to make a difference in such a specific way. You know sometimes you think about particular types of doctors (I won’t mention them here) and you wonder how in the world they became experts in a particular area? So…..blisters……..what is it intrinsically about blisters that caught your interest enough to become an expert on them? Well, as a podiatrist, if I was going to be an expert on anything, it was always going to be something about feet. The reason that thing is blisters is because I happen to be blister prone. I get foot blisters very easily – when I go for a walk, run, play hockey, new shoes. It’s so annoying. But I’ll tell you what hurt most was the moment I realised I couldn’t fix my own foot problem when it was my job to fix foot problems. That was the impetus for delving deeper into this injury. It seems to me that many runners and athletes think that certain types of blisters are no big deal, so they really don’t take the time to treat them correctly or prevent them. In your experience what are the most common blisters, and if runners put some effort into it, are they preventable? Blisters anywhere on the feet are absolutely preventable. The reason people don’t put much effort into blister prevention is that too many of the things they’ve been told to do, don’t work. And so blisters are deemed to be inevitable. Have you noticed that athletes tend to glorify blisters like they’re a sign of how far they’ve run or how hard they’ve worked? It’s a sorry state of affairs, but they don’t see any way around it. So it’s very satisfying to help turn that reality around. I want for athletes to be able to understand blisters and their options a bit better so they can troubleshoot issues themselves. That’s why I’ve spent such a long time researching the literature to help explain what’s going on, in a way that’s easy to understand. It seems so obvious after I read it in your book, but it never occurred to me that the foot bones move around under the skin which can cause stretching under the skin – you call it shear. It’s probably just something people don’t normally think about. Does the amount of movement differential between the skin and bones vary significantly among individuals? It does Doug. That means we can have an impact towards blister prevention with certain biomechanical interventions that reduce bone movement – things like orthotics, stretches and changes in running technique. Another variation we see between individuals is that of the skin’s resilience to that movement differential between skin and bone (shear). Even with the same running speed, distance travelled, terrain, shoes, biomechanics, training regime and everything else being equal, some athletes are going to blister sooner than others, just because of the intrinsic shear strength of their skin. Friction seems to be a very important concept to understand – can you briefly telling about this in relation to blisters? Friction has a double meaning. One is rubbing, the other is resisting rubbing. This one factor alone has led to a confused mainstream blister prevention paradigm. Everyone’s out there trying to stop the rubbing on their skin, but this shouldn’t be our aim. Our aim should be to lower the resistance to rubbing. This is what reducing friction means. 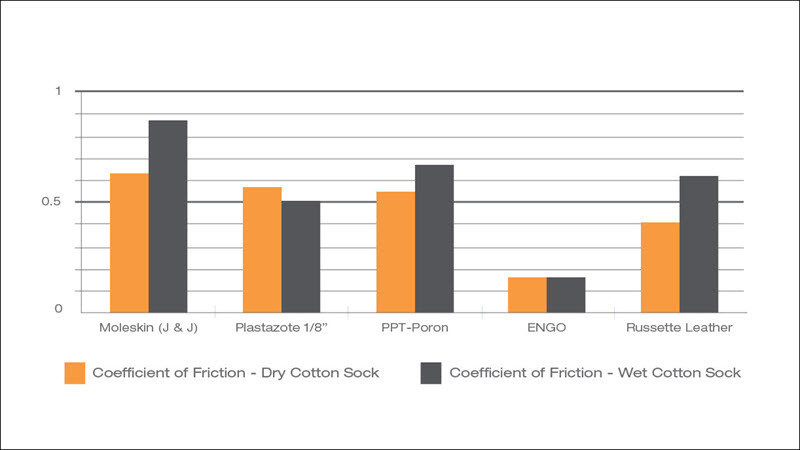 Put simply, friction is the level of grip between the surfaces of the shoe, sock and skin. High friction levels cause them to grip together, and this makes that movement differential between skin and bone to be bigger, leading to more blisters, bigger blisters and blisters sooner. Our aim should be to reduce the grip – make it slippery. If you can have an impact on friction levels, you will go a long way to stopping blisters. One of the things I’ve noticed is that different types of running can cause different types of blisters. For example if I’m running significantly faster or sprinting, I know that my foot strike and body mechanics are different. Or if I run trails I may get certain blisters I don’t get otherwise. I suppose it’s less important but I didn’t see anything in your book at particular types of running causing blisters. You’re right Doug. When you run in a straight line, your foot plants and your foot bones continue to skid forward until they come to a stop. That’s the movement differential we call shear. And the opposite happens in the propulsive phase. So the shear happens in a forwards/backwards direction. Compare that to trail running. The more challenging the trail becomes, the more your bones slide from side to side. And the more you might load other areas of your foot in different ways. So you’re quite right – different terrains, different blisters. 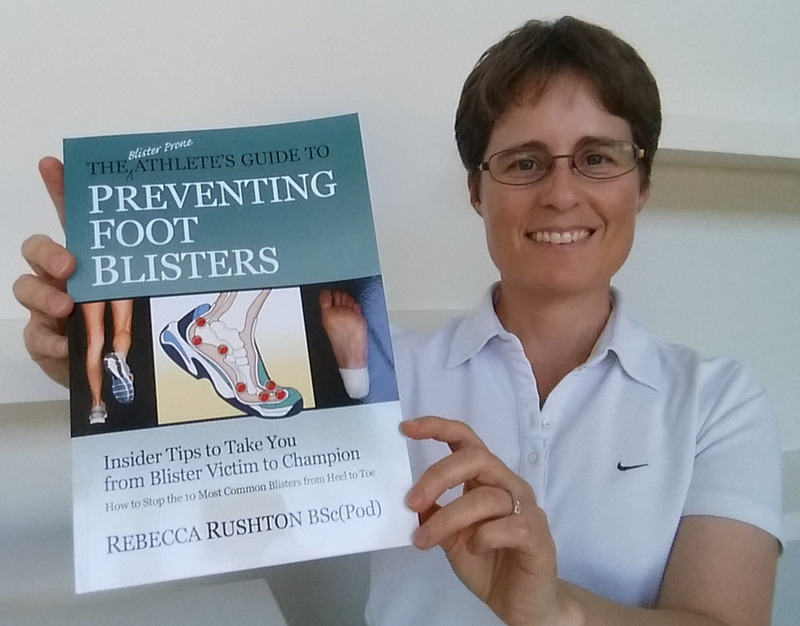 Your book covers the treatment of heel blisters, arch, under the ball of your foot, and all types of toe blisters. Which blisters are the most problematic? Can blisters actually be chronic? Toe blisters seem to be the most common. I took a poll on my website and 36% of 1,136 respondents had toe blisters. The next most common was blisters under the ball of the foot (28%) and I think these are the most problematic for runners. The main reason is runners don’t want to take time off running to let blisters heal. I don’t know if you’ve noticed but it’s very hard to run when you’re trying to keep the weight off your forefoot. One of the most common questions I’m asked is “how long is my blister going to last”. The fact is, your blister won’t resolve in a hurry if you haven’t reduced the shear load on that part of your foot. To get your blisters to heal as quickly as possible, you have to reduce friction levels (I’m not talking about rubbing, I’m talking about how your shoe, sock and skin all grip together – you have to make it slippery at one of these interfaces). That’s the best way to reduce shear. Plus I’d try to reduce pressure if it was possible. There are lots of ways to achieve these things, but it depends on where on your foot the blister is. Different blister locations require different strategies for best results. That’s why I focus on the ten most common blisters by their anatomical blister locations in my book, and describe the most useful prevention strategies for each. It seems to me that most peoples understanding of blisters is pretty pathetic……whenever the subject comes up, the standard response is “are you using Moleskin?” which really irritates me since I know it does not really work well, at least for me. That’s why I found your discussion of taping, felt donut pads, and ENGO patches quite informative. Tell us about the ENGO patches since I don’t believe many people have heard of them. I agree Doug. I feel the same way about taping. I can tape my heels til the cows come home but I’ll still blister under the tape. But you can’t deny the fact that less blister prone runners only need a little bit of something to keep them blister-free. I used to wish I was one of those people. But thankfully I’m not, because it has made me delve deeper and find real solutions for even the most blister prone athletes. ENGO Patches are the things that keep me blister-free. I actually found these patches and fixed my blister issues before I started looking into the science of blisters. When I found they worked so well, I had to figure out why, because they didn’t fit into the paradigm as I understood it at the time. That’s how I figured out that paradigm (ie: stop the rubbing) was flawed. ENGO Patches are made by Tamarack, Minnesota, USA. They’re self-adhesive, low friction patches you apply to your shoe, insole or orthotic, rather than your skin, so they’re quite different to other strategies. They last month on month for around 300 miles and they’re very thin. They reduce friction in a targeted way, which is the best way to manage friction. I highly recommend them for anyone blister prone and any athlete bothered with blisters because of their sport. Tell us about your website, and is it possible for runners that have serious problems to contact you for treatment via email, skype, or ? 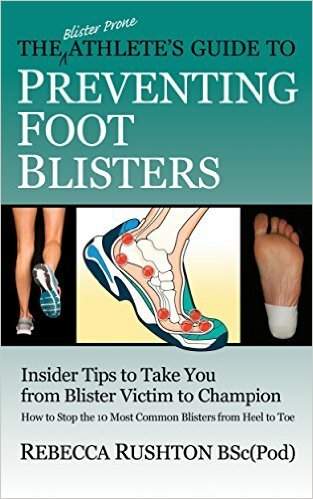 My website is www.blisterprevention.com.au and it’s a treasure-trove of practical advice on specific blister prevention strategies, on the different blisters based on their anatomical location, on sport-specific blister issues and on blister treatment principles. I have a slant towards runners, particularly multiday ultramarathon runners, and blister prone people – so I focus on the advanced techniques needed to make a real difference. If your readers are having trouble, I urge them to have a good look at the topics covered – I’m sure they’ll find something new they can try. Unfortunately, I’m quite busy with my own podiatry practice that I don’t have a lot of time to speak to people one-on-one. But I do have an online consultation service if anyone wants me to take a look at their blisters and walk them through their best options. Other than that, I go to one 6-day ultramarathon a year to provide foot care, which I really enjoy doing. This year I’ll be at the Big Red Run, Australia’s annual 6-day ultramarathon in the Simpson Desert. It’s going to be fun. Where can runners buy your books? My book is available from Amazon at http://www.amazon.com/dp/B016R6YAIS on Kindle and as a paperback.